Waxing and using an epilator work by pulling on hairs. This can break off hairs just under the outer skin level - the epidermis - leaving the jagged broken tip of the hair shaft to catch on the underside of the skin. 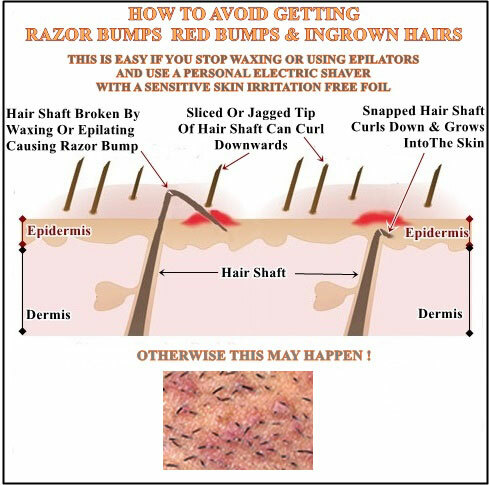 The hair shaft will continue to grow and as the tip is caught under the skin, it grows sideways causing infected red bumps, and discoloration which are the hallmarks of ingrown hairs. Using a safety or straight edge razor is also another very common cause of ingrown hairs for exactly the same reason. When you wet shave, your skin cells absorb water through osmosis, and they will swell. You will have seen a similar effect when you stay in the bath or pool for too long and get wrinkles in your skin. Skin cells, swollen temporarily with water, will expand and rise up the hair shaft concealing the base of the hair and making it impossible for the blade to cut low down and smoothly. After shaving the water evaporates from the skin cells and they deflate to normal size. 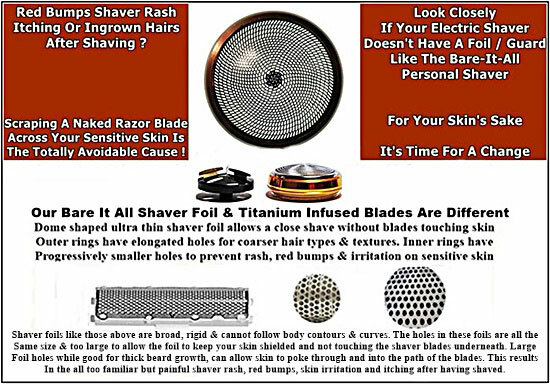 This shrinking exposes the hair shaft that was not cut when the skin cells were swollen and the tips of the hair catches on the underside of the skin cells and grow sideways and into the skin causing the ingrown hairs. While waxing, epilating and shaving with a razor blade will all exfoliate the skin to a certain degree, the broken hairs they can cause is something to be avoided. 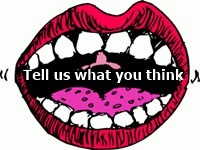 The answer is a quality personal electric shaver with an irritation free shaver foil or guard.